David Robert Mitchell’s It Follows is one of the most anticipated horror films of the year, and for good reason. Since hitting the festival circuit last year and bleeding into this year’s Sundance Film Festival, It Follows has been on a path of destruction, one that is headed right for us as the film is set to debut on VOD this March 27th, just two weeks after its theatrical bow on Friday the 13th. With its release less than a month away, London film creative agency, AllCity, have teamed up with artist Richey Beckett to create a new poster for the film, a stunning one at that. With beauty and horror on its mind, the new art features The Guest’s Maika Monroe as she unknowingly becomes tangled in a web of terror. It doesn’t think. It doesn’t feel. It doesn’t give up. It Follows. 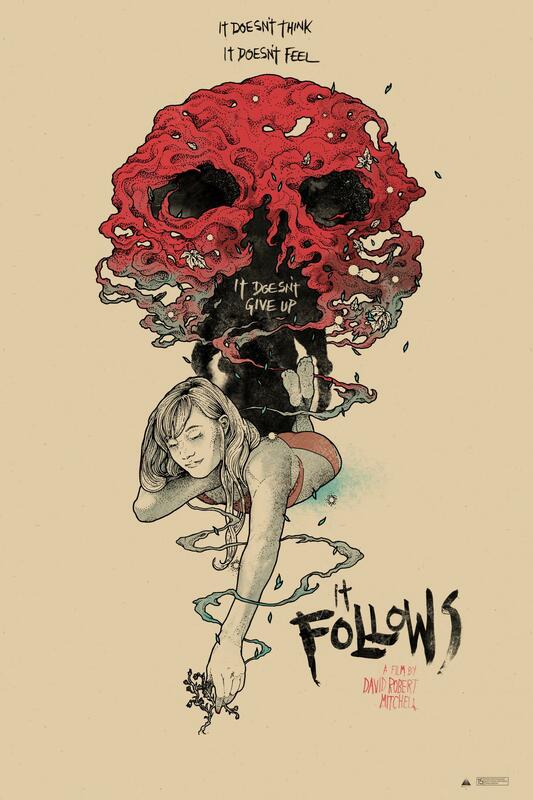 It Follows stars Maika Monroe, Keir Gilchrist, Daniel Zovatto, Jake Weary, Olivia Luccardi and Lili Sepe. Watch the trailer here if you missed it. Just like AIDS. It never gives up. They weren’t kidding when they said a sexually transmitted demon! Oh, and the smell, too. . . my god. Lol! The smell is the worst thing about it. That and the whole dying part. Same here, I thought she was great in The Guest! It’s one nice piece of art, that’s for sure!